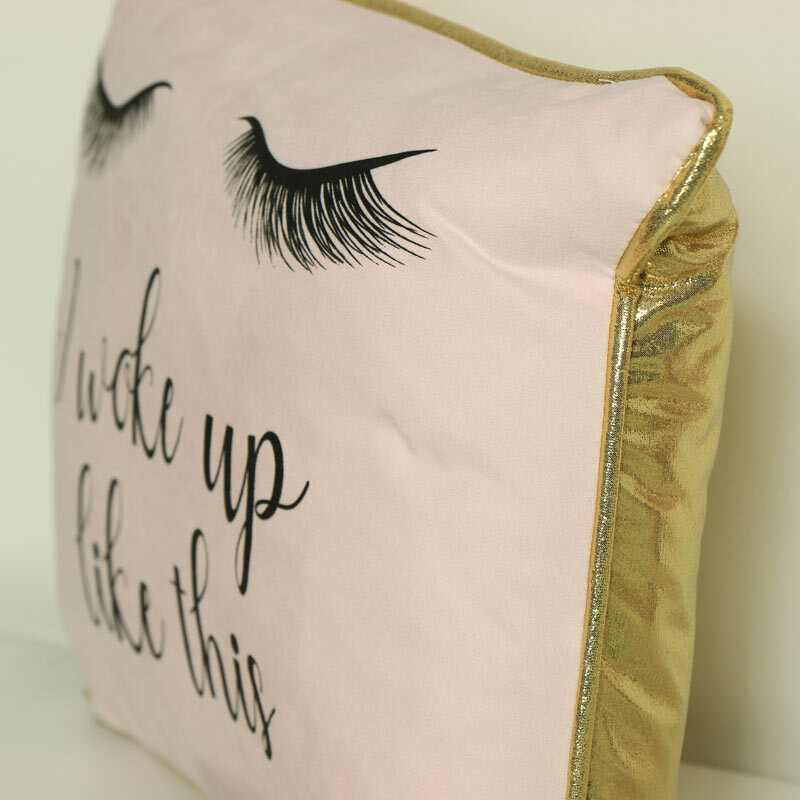 Stylish glam cushion in pink & gold for the luxe living home decor. Fabulous girly design with eyelash print decorating the front. 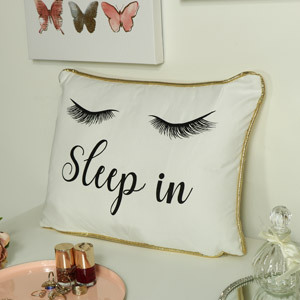 A great gift idea for the girly boudoir style bedroom. Pink fabric front with a shiny gold back. 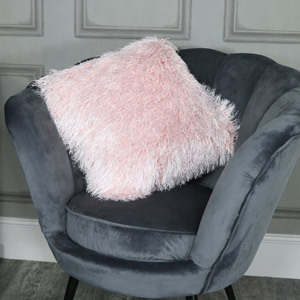 We have a great choice in soft furnishings for your home with a selection of cushions, throws and rugs. 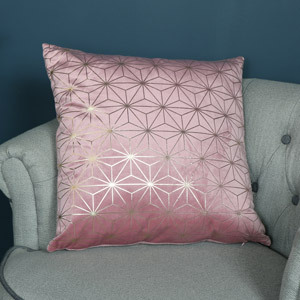 Stylish glam cushion in pink & gold for the luxe living home decor. Fabulous girly design with eyelash print decorating the front. 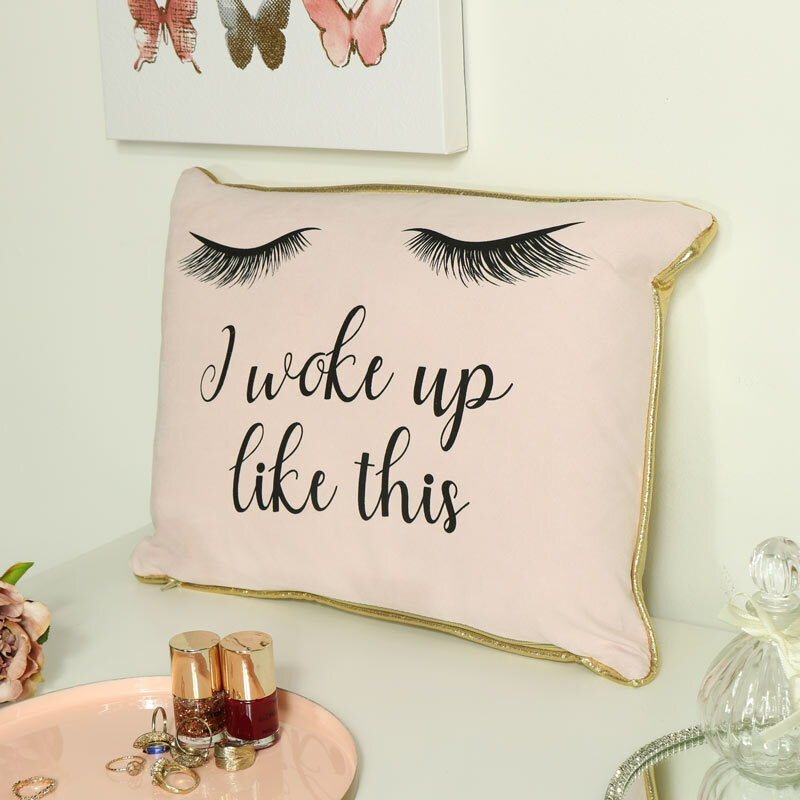 A great gift idea for the girly boudoir style bedroom. Pink fabric front with a shiny gold back. We have a great choice in soft furnishings for your home with a selection of cushions, throws and rugs. Pink fabric front with gold back. Inner supplied, wipe clean only.